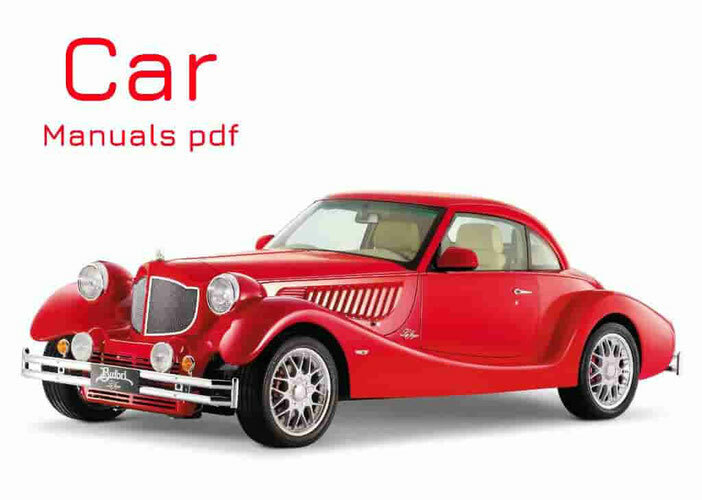 Bedford Car Service Manuals PDF above the page. The first years of existence, the brand Bedford linked to famous iron foundry and engineering company Vauxhall (PDF Manuals page), based in the middle of the last century, in London's Vauxhall. In 1905 she moved to the city of Luton, Bedfordshire, where she began to produce cars. In difficult times for the company's 20-ies. American concern GM (Manuals page) has long intended to create a foothold in the UK for the invasion of the European market, the company became interested in Vauxhall and in 1925 made her its British affiliate. Plans for consolidation in the European market and also covered trucks sector. Activity in this area began with the import to the UK truck Chevrolet (Manuals PDF), and in the late 20s. factory in Hendon began their assembly. In 1931, the American management decided to expand the country's own production of light trucks that are adapted to the requirements of the UK market. Their trademark was the Bedford - by name neighboring town and around the county, where the plant was located. The new production was the load compartment of the Vauxhall. Reliable and high-speed machines Bedford had great success and soon became popular in all kinds of transportation. The first appeared 2-ton car WHG and WLG with a wheelbase of 3330 mm and 3990. respectively, which cost very cheap - only 198 pounds; followed by light vans released VY and VX, 1.5-ton series and WS 3-ton trucks WT. They set 6-cylinder OHV gasoline engine (3177 cm3, 44 hp, on a series of WT -. 64 hp), while the rare 4-speed synchronized gearbox in Europe. The first car of its own design Bedford began in 1934, BYC light vans with carrying capacity of 600 kg., Recognized by his contemporaries the best delivery truck in its class. Not yet had time to develop serial production of machines as had to quickly alter their military options. The main was a series of "O" on the basis of which produced trucks OXD models, Oyd and OWS payload 1.5-5 m., Received a specific plane facing the front, which has become a kind of identification mark. The most famous army option Series "M" was an easy pick MWD carrying capacity of 750 kg. Since 1941 Bedford produced a 3-ton model QLD (4x4) with cab-over-engine and 8-speed transmission. At the end of the war with conveyors Bedford began again to go to the pre-war development of civilian vehicles. In 1950 there was the first new development - the so-called "Big Bedford" - 7-ton truck series «S» polukapotnoy layout with a very elegant for its time, rounded cab with a chrome grille. Three years later, this range is offered in four versions: on-board model SSZ SLZ and with a wheelbase of respectively 2.9 and 4.0 m, tractor SA with the base 2.2 m, four-wheel drive truck R (4x4)... In 1953, a series of "O" replaced by a new bonneted 76-strong range of "TA", which consisted of numerous models of carrying capacity 1.25-5 m.
In 1952, there seems to be inconspicuous event in Bedford activity - in his program was introduced a specially designed light van CA - polukapotnoy arrangement carrying capacity of 500-750 kg, its different appearance.. The car was a huge success and was produced for about 20 years. In 1958, a series bonneted "TA" has been replaced by a new «TJ», the design of which was performed in the same style. In 1966, Bedford first introduced the heavy machine series "KM" full weight up to 24 tonnes in its program. With the new diesel engine power of 143 hp Two years later, there was an option with the wheel formula 6x2, and in 1972 - tractor for work in trains GVW 32 tons By this time in the British car design was increasingly felt the impact of internal cooperation among the members of GM, including the European branch. Opel (Service Manuals page) and partially owned Japanese company Isuzu (Manuals page). At the same time continued to improve light trucks. In 1964, based on popular small cars Vauxhall Viva began production of vans and pick-ups "on" carrying capacity of 300-500 kg. In 1969, the famous series of "CA" has replaced the range of "the CF" with a payload of 900 kg to 1.75 m. In the early 80-ies. a new series «CF2» of the four models GVW 2.3-3.5 m. with a monocoque body, side sliding door and substantially redesigned. In 1980, a "TC" series added a range of «TL», is characterized by a minimalist design and the use of recline cab over the engine. In 1986, the most powerful representative of the range - three-axle dump truck TL2440 (6x4) gross weight of 24 tons -. 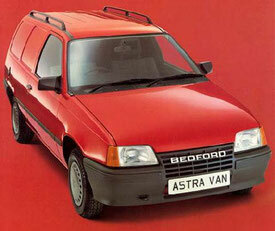 Was one of the last car, wearing the brand «Bedford». But, in spite of the economic backwardness of the UK, by 1980 the situation Bedford.